It’s about time I tackled some of the riches of the Library of Congress (LC) here. The question: where to begin? I was talking to someone about Thomas Jefferson last week, so why not start with the man who sold his library to the Federal Government after the British burned the congressional library during the War of 1812, thus supplying the foundation for today’s LC? 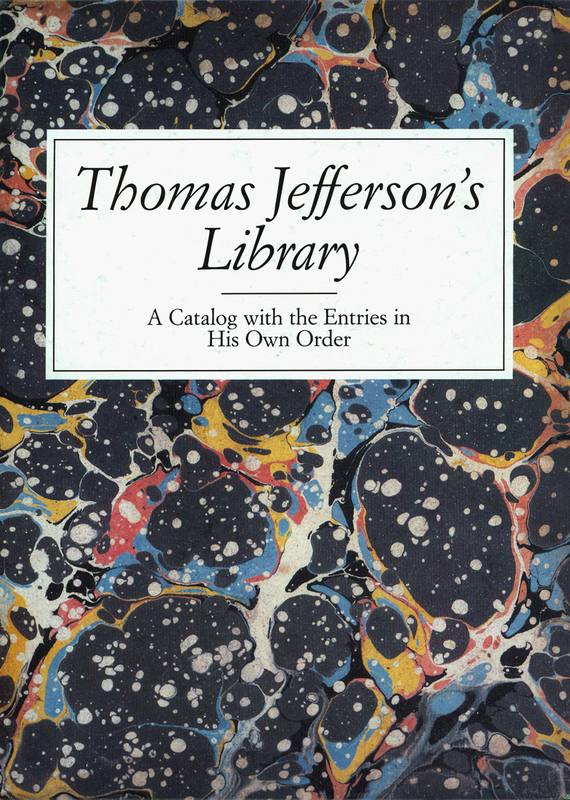 The 1989 edition of Thomas Jefferson’s Library: A Catalog with the Entries in His Own Order restored to public view a unique copy of Jefferson’s personal shelflist, and one with an unusual history. Jefferson had sent along a copy of his personal library’s catalog with the books he sold to the Government, but it has been lost. Later, he asked Nicholas P. Trist, his secretary and future grandson-in-law, to recreate the catalog and its unique arrangement. (Trist later had a controversial career as a diplomat – if I ever find a Government publication concerning him, you’ll hear all about it.) After Jefferson’s death, Trist’s manuscript vanished until 1917, when it turned up in the library of Camp Wheeler in Georgia (talk about gold in your attic!) and was donated to LC, which published it for the first time in this edition. The Introduction explains the provenance of the manuscript as well as its unusual structure, based on the system developed by Francis Bacon in his The Advancement of Learning. As the editors point out, “To twentieth-century eyes, parts of Jefferson’s classification, may seem puzzling. It is no surprise to find categories such as Modern British History under the broad division of history, but such unexpected subjects as Agriculture, Surgery, and natural History also appear there.” According to Jefferson’s world view, “history” meant all of the known facts about the physical universe, so these topic headings, seemingly so disparate to us, made perfect sense to the 18th century mind. Although Jefferson’s methods of library cataloging are of great interest and carefully explained by the editors, my real interest was in Jefferson’s reading habits. Lots of books under Politics, of course – most of the great Enlightenment theorists and reformers are represented, including Cesare Beccaria, that great foe of judicial torture, whom I hold in particular esteem (trivia: his grandson was Alessandro Manzoni, author of I Promessi Sposi, the greatest Italian novel of the 19th century). Speaking of literature, Jefferson owned works by such robust authors as Tobias Smollett (Roderick Random), that most unorthodox clergyman, Laurence Sterne (Tristram Shandy and A Sentimental Journey), and even the somewhat shady Restif de la Bretonne. His poetry interests leaned towards the Greeks and Romans, but he also had a place for Americans like Philip Freneau and Phyllis “Whateley.” As with the rest of his holdings, Jefferson’s collection of literature represents quintessential Enlightenment taste. As you can tell, browsing through this remarkable catalog is great fun, even as it sheds light on the intellectual roots of our third President. It’s available online from LC and has been reprinted by a private publisher, although without the distinctive faux marbling covers (above). You can also find it in libraries.